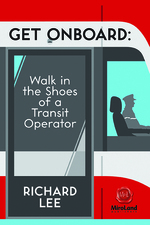 In a recent article for the Metro News Toronto, Chris Bateman speaks about Richard Lee’s Get Onboard, a book which recounts the everyday reality and experiences faced by TTC workers. He explains Lee’s purpose for writing the book and the response that it’s been getting from the TTC community. Tagged with Article, Chris Bateman, Get Onboard, Metro News, Richard Lee, TTC.